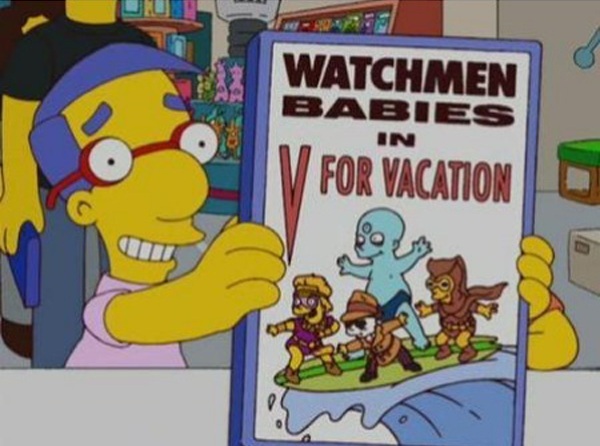 DC has announced that they will be making a prequel to Alan Moore’s comic series Watchmen. In the words of South Park’s General Disarray, I am forced to say ‘Simpsons did it’. Maybe the Simpsons joke was the inspiration for the new comic series or maybe the Simpsons writers can see the future or travelled back in time to ensure that they always have ideas first. We may never truly know for sure. One thing we do know is that money is playing a big part in getting his series made. The original comic books are extremely popular; this popularity was boosted by the 2009 film, but creator and writer Alan Moore will have no involvement in the prequel, so will they be able to live up to the original series? Alan Moore has spoken out about his disappointment that his series will be given a prequel as he feels that the story of the Watchmen has already been told from start to finish and there doesn’t need to be any more, an argument that a lot of fans will probably agree with. Though, in the past Moore’s comments were not able to stop fans of the comic from watching the movie, so it’s hard to predict if his angry will once again fall on deaf ears. Moore doesn’t trust Hollywood and has never seen the movie adaptations of any of his work. It may not be what Moore wants, but if DC believe that there’s a market there, which they obviously do, then they are going to go ahead with it and technically they’re not doing anything new by getting different staff to work on the project. It seems harsh, but in the comic world it isn’t uncommon for different writers to take up comic book series and continue or expand on them. If that wasn’t the case heroes like Superman would no longer be around and can you really imagine living in a world with no Superman (comics, movies and TV shows)? It all really comes down to what the fans want. If people are willing to buy, then who knows what future Watchmen projects could be on the horizon? Sure it starts as a prequel, but that could give rises to another movie or a TV series. Then even maybe a spinoff comic series or a sequel, though I hope there’s no sequel. The possibilities are endless, except for a theme park; they’re not going to get a theme park. Maybe a ride, but that’s it. What do you think? 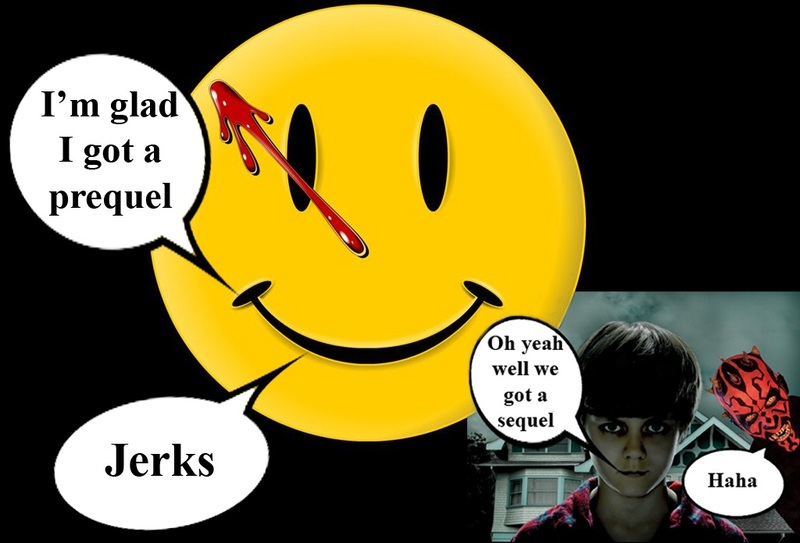 Are you a Watchmen fan? Do you plan on reading the prequel? Would you like to see the series continue or maybe even get a theme park? Let me know by voting and leaving a comment below. Also don’t forget to follow and click the like button, if you liked this post or you could follow me on Twitter at https://twitter.com/#!/AdamODwyer1. This entry was posted on February 5, 2012 by adamodwyer1. It was filed under Superhero and was tagged with alan, before, book, comic, minutemen, moore, pictures, prequel, watchmen. i wonder will the prequel do well it a bit risky because Moore isnt backing it. But your right if there is a great demand then they will definitly supply.